You might be busy the entire day. But you achieved nothing significant. You’ve spent all your time on emails, messaging and you-tubing. Yet, your biggest project on hand remains untouched. Take decision points seriously. If someone asks if you can join him for coffee, decide between going (wasting time) or staying (completing work). There will be pros and cons on both sides. You must decide which is best for your days’ progress. It is important to stop multitasking. The mental resource needed to switch between task is high. Do one thing at a time, complete one task at a time. Finish what you have on hand before going onto the next email. Networking and attending useless meetings can deplete a lot of mental energy — more than you realize. I understand you cannot avoid these meetings entirely, but pick your poison carefully. Fight distractions aggressively. Minimalism concepts help you to focus. Prevent your mind from wandering by tidying your desk. Have less distractions. A clean desk will help to create a better working environment. Close the door behind you and listen to light classical music. Eliminate chatter and noises of people talking. 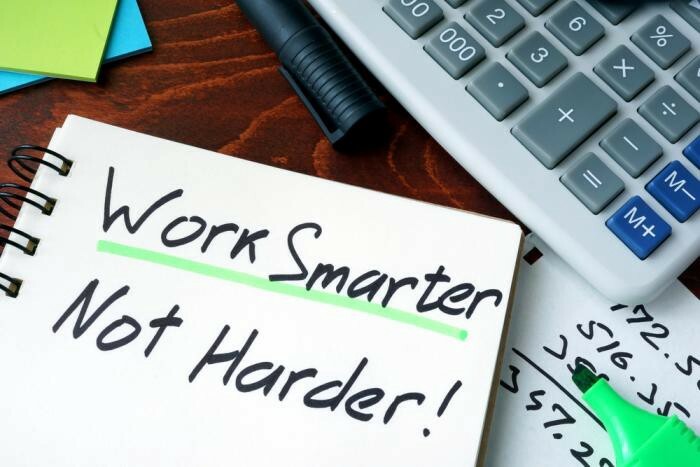 You can harness at least two awesome hours of effectiveness every day by following five simple strategies: recognize your decision points; manage your mental energy; stop fighting distractions; leverage your mind–body connection; and make your workspace work for you. This way, you’ll provide yourself with the psychological and biological conditions you need for top performance.